This past week, the bishops who have been appointed in the last year were in Rome for what has become known as ‘baby bishops’ school’, a series of lectures on things related to being a bishop. 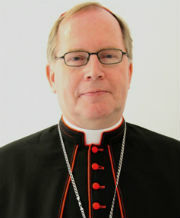 Among the participants was Bishop Ron van den Hout of Groningen-Leeuwarden, appointed in April of this year. The last time a Dutch bishop participated was in 2012. The week-long course has existed since 2001 and is jointly organised by the Congregations for Bishops and for the Oriental Churches. Bishop Ron van den Hout, at left, concelebrates the daily Mass during the course for newly-appointed bishops. 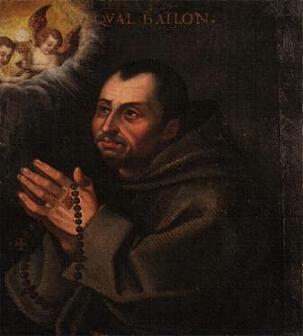 This year’s topic of the course was ‘Teachers in discernment’, and, according to a factual report on the website of Bishop van den Hout’s diocese, the bishops heard lectures on mutual collegiality, the relationships with the priests of the bishop’s new diocese, ecumenism, pastoral care for priests and their affective life, Church and media, the missionary Church, and the role of canon law in managing a diocese. The German bishops were with six in Rome, among them Bishop Peter Kohlgraf of Mainz, who shared the photo below on his Facebook page, of bishops (and one priest) at dinner. From left to right: Franz Josef Gebert (auxiliary, Trier), Georg Bätzing (Limburg), Fr. Stefan Langer (Hamburg), Peter Kohlgraf (Mainz), Horst Eberlein (auxiliary, Hamburg), Dominicus Meier (auxiliary, Paderborn (albeit not a newly-ordained bishop)) and Rupert Graf zu Stolberg (auxiliary, München und Freising). 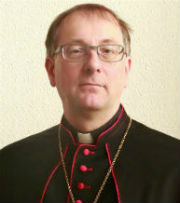 Absent from the gathering were Bishops Mattäus Karrer (auxiliary of Rottenburg-Stuttgart) and Rolf Lohmann (auxiliary, Münster). The new bishops were received in audience by Pope Francis on Thursday afternoon. 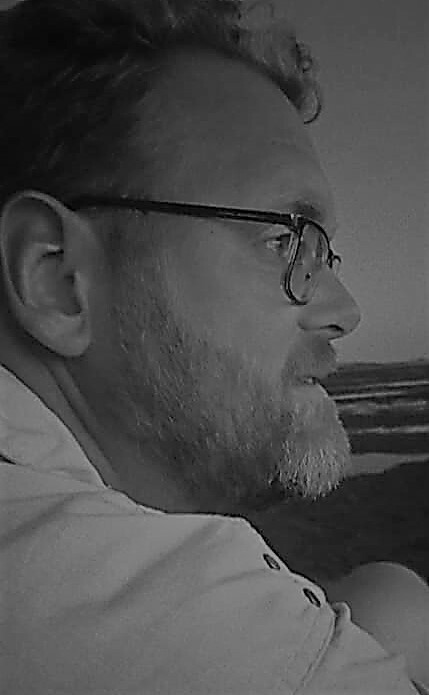 In his address, the Holy Father reminded them that “[t]he mission that awaits you is not to bring your own ideas and projects, nor solutions that are abstractly designed by those who consider the Church a home garden but humbly, without attention-seeking or narcissism , to offer your concrete witness of union with God, serving the Gospel that should be cultivated and helped to grow in that specific situation.” He spoke about discerning God in everything the bishops does and says. “Remember that God was already present in your dioceses when you arrived and will still be there when you are gone. And, in the end, we will all be measured not by counting our works but on the growth of God’s work in the heart of the flock that we keep in the name of the “Pastor and keeper of our souls” (cf. 1 Pt 2:25)”.